Q: How do I link my Magic Duels game to a Wizards Account? Write down your Customer ID as it appears. Hit the button "Link Account"
Q: Whenever I try and enter a multiplayer match or match against AI, my game crashes. What should I do? A: There could be an issue with the deck you are using in your match. Try rebuilding your deck from scratch to see if this fixes the desynching issue. If your game continues to crash, please contact our Game Support Team. Q: When searching for an online match on iOS, I immediately receive a message about being unable to find opponents. What should I do? A: Most players are able to resolve this issue by closing Magic Duels, then logging out of Game Center and logging back in. If you are still experiencing this issue after logging back in and relaunching the game, please contact our Game Support Team. Q: I'm playing the game on Steam and see a black background or having other graphics issues. What should I do? A: For players on PC who experiencing graphical issues within menus (such as seeing an all-black screen) or within games (a black background with the cards not displaying properly), please verify that your system meets the minimum recommended requirements located on the game's store page. If your computer meets the minimum system requirements, please try updating your graphics drivers. Q: On which iOS devices is Magic Duels supported? 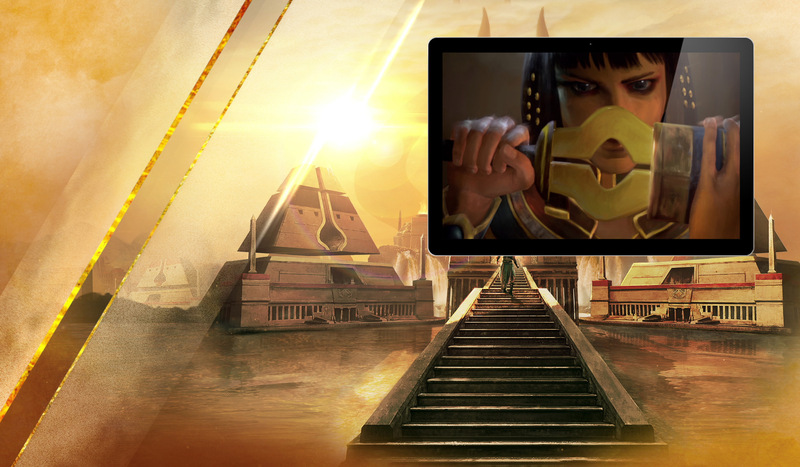 A: Magic Duels can be played on an iPad Mini 2 or newer, iPad Air or newer, and iPhone 5s or newer. Q: How do Community Quests work? A: Each week Magic Duels will feature a new Community Quest. Currently, Community Quests refresh on Wednesday evenings, UTC. If a player contributes to the completion of the community quest during that week, and the community as a whole reaches the threshold for completing the quest, that player will receive the quest's reward. Rewards are given when the Community Quest refreshes. Players whose first contribution to the quest occurs after the community has reached the threshold for completion will receive the reward. Q: When is Magic Duels coming to PS4? A: The decision was made to indefinitely delay a PlayStation 4 version of Magic Duels. This decision best positions us to consistently deliver great play experiences and new updates to fans on iOS, PC, and Xbox One. Q: Will any cards be swapped in my collection for the Kaladesh update? A: No. However, please note card swaps that were made during the Shadows over Innistrad and Eldritch Moon releases. These are still in effect. Q: What cards will be swapped out with Eldritch Moon? A: To keep a balanced play experience and address cards with ongoing issues, we will be swapping two cards from your Magic Duels collection. If you have one of the below cards, it will be replaced with the following card starting July 20, 2016. Q: What cards will be swapped out with Shadows over Innistrad? A: To keep a balanced play experience, we will be swapping a few cards from your Magic Duels Starter Box. If you have one of the below cards, it will be replaced with the following card starting April 6, 2016.